Every Hotel in the UK will need a prime position in Google to increase the number of visitors to the Hotel and if the hotel itself is positioned higher in search engine positions it will reduce commission spend. Chameleon has been working with the Internet since 2001 and has one of the best names in the SEO industry, dominating many difficult markets and winning awards along the way. We have been used for audits and to create SEO campaigns for major leading brand names in the hotel industry and become the go-to company for information and help. We operate under an NDA with all hotels and can only carry out an active campaign with one hotel in a specific region or area, so we are sorry if we cannot work with your hotel due to working with a competitor already. We can still provide an audit of the SEO and offer advice as needed so call the head office on 0121 663 0456. 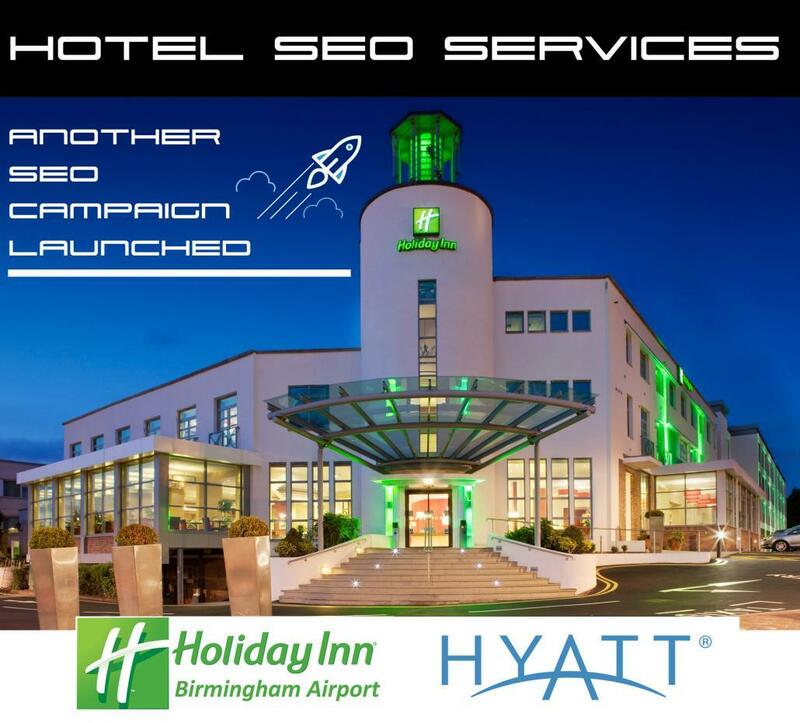 Not only do we work on increasing the traffic to hotel websites we also build website’s and as an example, we have worked with the Holiday Inn Hotel at Birmingham Airport which required building a new website. Being a web development company and online marketing means we can do everything under one roof, not only work on SEO for the Hotel but also carry out web development, even Adwords management and social media management. So if you want your hotel SEO to dominate the competition make sure you contact us first. Carrying out hotel search engine optimisation is vital to the business, so get in touch to arrange an SEO consultant to visit you or come to our offices. Generally, in Google organic search results you will see companies like laterooms.com and lastminute.com and with all these websites have heavy commission costs and this means less ROI. If your hotel is number one if the Google search then this adds value to the business rather than adding costs. To achieve this you need search engine optimisation for hotels. We’re passionate helping hotels like yours overcome their challenges and grow. Knowledge of how Googles search engine works will help you understand the importance of SEO. What happens when you use Google? When you use Google you are accessing their powerful index of the internet. Google Spiders follow links on web pages to create a huge index of the internet. Google software searches their index of the internet giving the most relevant results to users query. Fully qualified and trusted by Google for AdWords Management. We’re passionate helping hotels like yours overcome their challenges and grow with SEO and other services.